Consumers are inundated with choices in-aisle, making it challenging for CPG manufacturers to drive trial and capture market share effectively with new product launches. 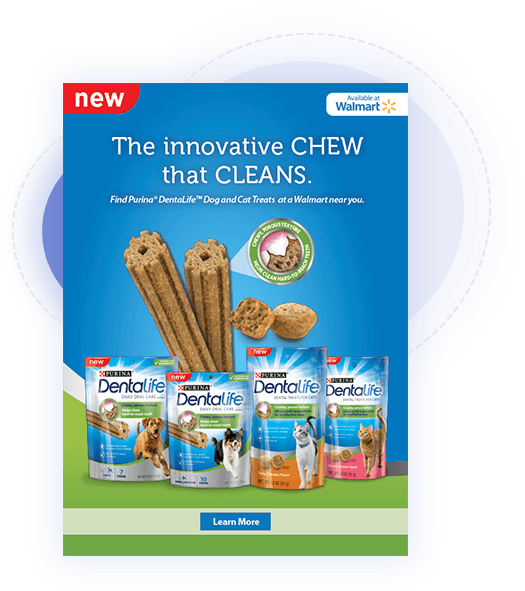 Purina was looking to break through the clutter and create awareness around the launch of DentaLife dog treats to drive trial through retail partner, Walmart. 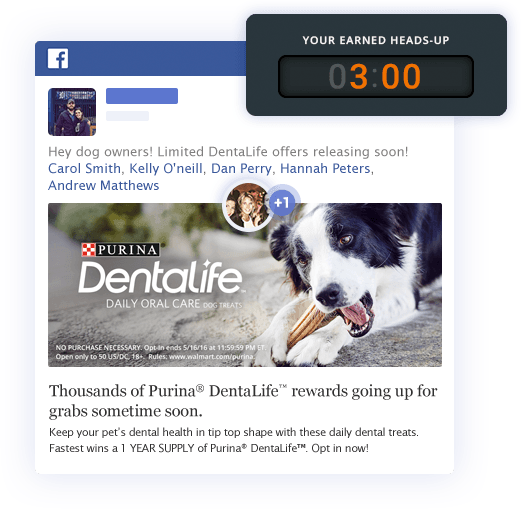 The Purina team leveraged Quikly to provide product education and to amplify media reach through social referral among pet owners. 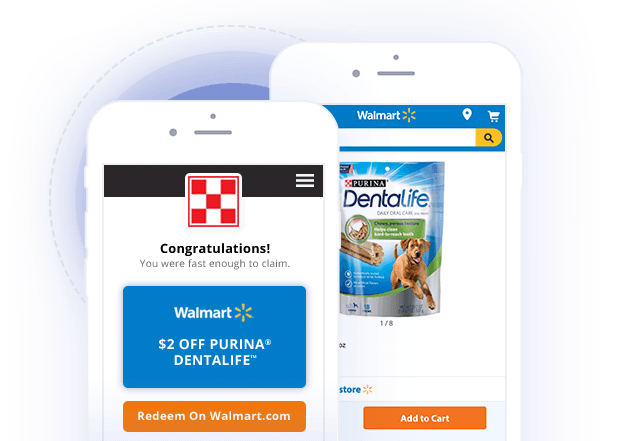 Offers earned through participation were redeemable at Walmart stores to drive product trial. 75% of program participants will claim a product offer as part of the campaign experience.